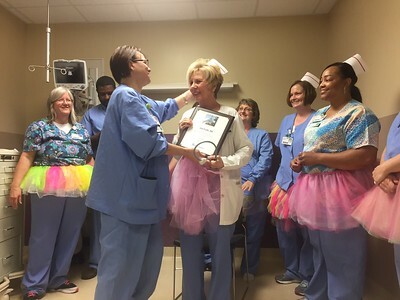 45 years of service. 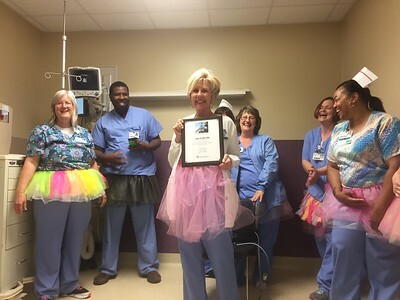 Jan, retiring from the Surgery Department, has tapped danced for years. 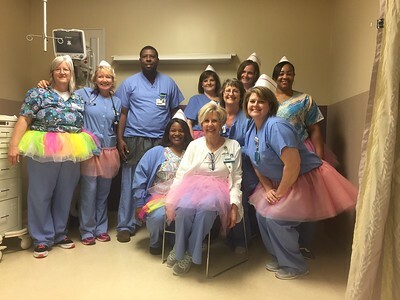 She would always don her tutu and tap for staff and patient birthdays.